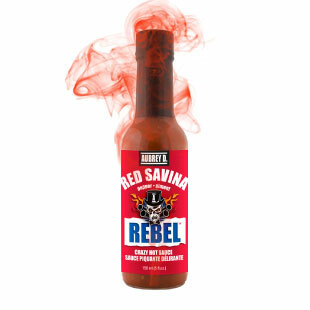 Made with Red Savina - the hottest type of Habanero pepper. All Natural, Preservative Free, Gluten Free, Vegan, and Kosher. Try it with steak, chops, burgers, ribs, chicken, pork or tofu. A unique blend of Red Savina, Green Bell, and Red Scotch Bonnet peppers. Great for adding a kick to salads and salad dressings. Hand crafted and hand packed in small batches.